PVT John W. Bressler Jr.
John William Bressler and Naomi Elizabeth Miller were married on June 4th, 1924 and a year later, on June 7th, 1925, Naomi gave birth to a 7 pound, 10 ounce, baby boy at the Homeopathic Hospital in Pittsburgh, Pennsylvania.They named their son, John William Bressler Jr. and called him “Bill” for short. By all accounts Bill was a happy child and his parents were delighted with him.The family lived in the Oakland section of Pittsburgh. Four years later, Bill’s sister, Lois June, was born. By this time, the family had moved to the Mt. Washington area of Pittsburgh where Bill’s mother, Naomi, had grown up. Here Bill and Lois were close to their maternal grandmother and aunts and uncles. The family rented several different apartments throughout Mt. Washington, but were always close to family. 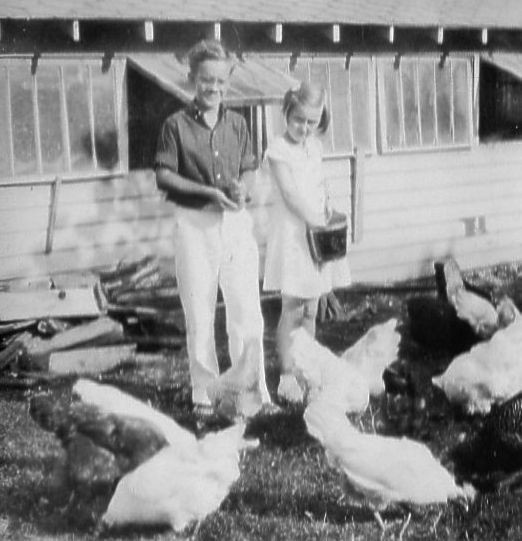 During the summers Bill and Lois would visit Akron, Ohio to visit their father’s Aunt Vertie who had 2 acres and kept rabbits, chickens, and a collie named Laddie. Bill taught his younger sister how to swing a baseball bat, the “finer” points of football, and got her into boxing gloves as well. Going to baseball games was a treat. Bill enjoyed stamp collecting and kept a book with stamps from all over the world. Bill attended Boggs Avenue Elementary School and then Prospect Jr. High. He was an avid student of history, played the violin, and took German language courses while in school. Bill graduated with honors from South Hills High School in June 1943. Bill knew when he graduated that he would be drafted into the service within the next year. Therefore, instead of making plans for furthering his education or seeking full time employment, he worked with his father doing radiator repair work after graduation. On March 17th, 1944, Bill was inducted into the U.S. Army, following in the footsteps of his grandfather, Roscoe L. Bressler (who served as a Private in L Company, Eighth Ohio Volunteer Infantry in 1898 during the Spanish-American War) and his great‑grandfather, Aaron F. Bressler (who was a corporal in Company B, 9th Regiment, Pennsylvania Cavalry in 1861 – 1862 during the U.S. Civil War). 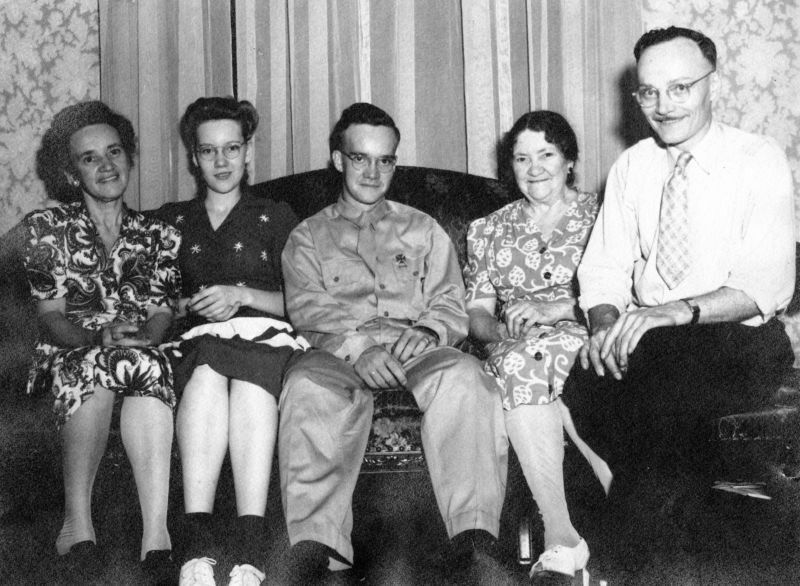 Left to right: Bill’s Mom Nan, his sister Lois, Bill, his Grandmother Ma Miller and his father “Pop Pop”. 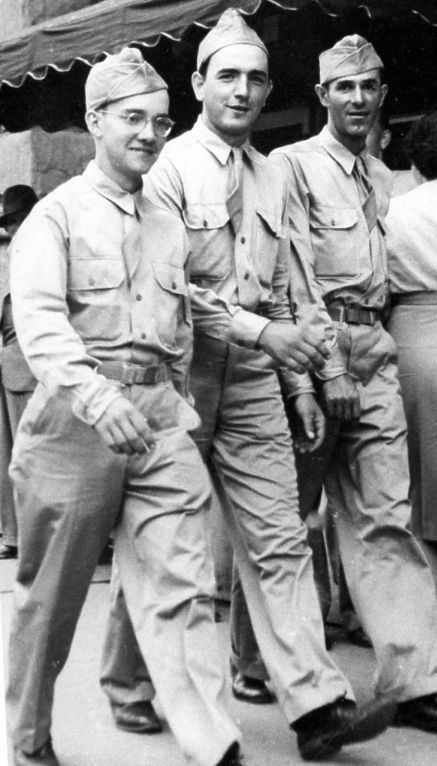 The family pictured during Bill’s short furlough in August 1944. PVT John William Bressler Jr.in uniform. 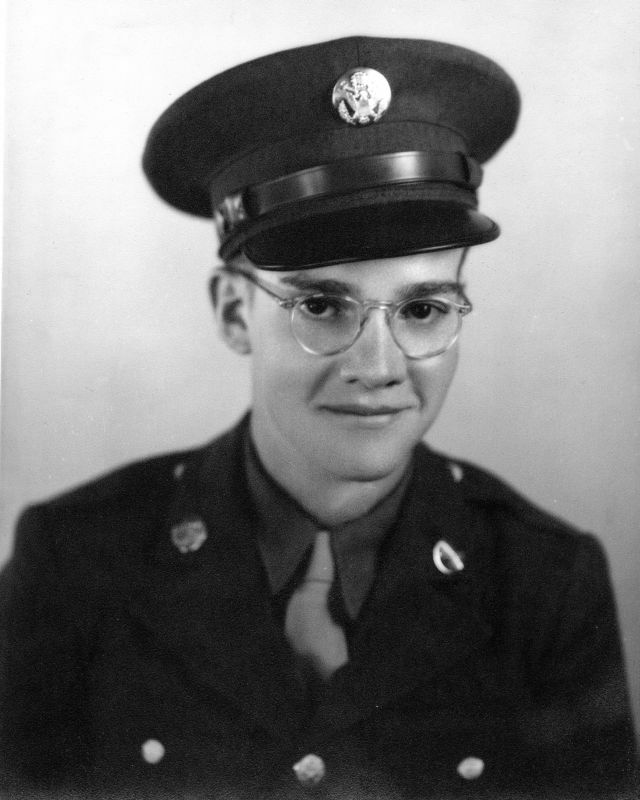 Private John W. Bressler, Jr. was then sent to the European Theater of Operation and served in Company C, 1st Battalion of the 39th Infantry Regiment, 9th Infantry Division. He saw combat in the Hurtgen Forest in Germany. On October 6th, 1944,1st Battalion of the 39th Infantry Regiment started their advance west of the town of Germeter. Their main objective was to cut the B399 road, and take the town of Germeter. From here they were to move further east, take Vossenack, and then attack towards the town of Schmidt, and take it. The men of Company A, B and C (all part of 1st Battalion) had it difficult from the start. In the forest part there were several pillboxes (bunkers) and it took a couple of days to advance just a few hundred yards east.1st Battalion held their lines at the tree line west of the town of Germeter. 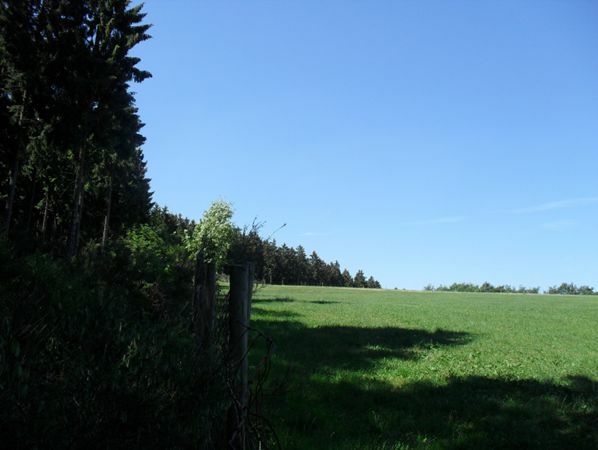 Here the men dug in and had several fire fights with the Germans in the fields in between the tree line and the village. The men did not dare to move out onto the open field, since the Germans were known to throw heavy artillery shelling onto the fields. The men of 1st Battalion opted to wait until Armored support could help them and provide decent fire cover. The tree line west of the town of Germeter, pictures here in 2012. Part of the 1st Battalion, 39th Infantry Regiment After Action Report of October 10th 1944. The next day, on October 11th, the 1st Battalion was ordered to leave a small holding force in the town of Germeter, and push forward with an attack onto the town of Vossenack, just a little more than 1 mile to the east. Due to an enemy counterattack, this attack did not work out, and all the elements of 1st Battalion remained in the town of Germeter, and in the tree line west of it. Another attack was made the next day. C Company left 1 platoon in Germeter and withdrew the other two platoons to start to follow Company B. They were to attack, but both Companies were attacked from the north. Elements of C Company (two platoons down to the strength of one) were then moved northwest to help and stop this threat. B Company pulled back, it’s mission cancelled, while C Company took positions near near the tree lines just west of the town as they felt they were safer here than in the town itself. October 13th, 1944. After gradually working against stiff enemy resistance, B and C Company pushed north to close a gap made by the enemy attack. The attack ended at dark and they reached an east-west fire trail.The Companies were in really bad shape as they had been fighting all day to take out the Germans that opened up a gap to the north of the town of Germeter. The men attacked and were under heavy artillery and mortar shelling all day. They went back and forth, and suffered many casualties. After this research we can strongly assume that Private John W. Bressler Jr. was part of these attacks, or was part of the 1 Platoon that stayed in the town of Germeter. On that fateful day of October 13th, 1944, Private Bressler either died on the field west of the town of Germeter or in the northern part of town. Bill’s sister remembers when the service men came to the house with the death notice telegram, stamped November 3rd, 1944; she had stayed home from school on that day and answered the door. 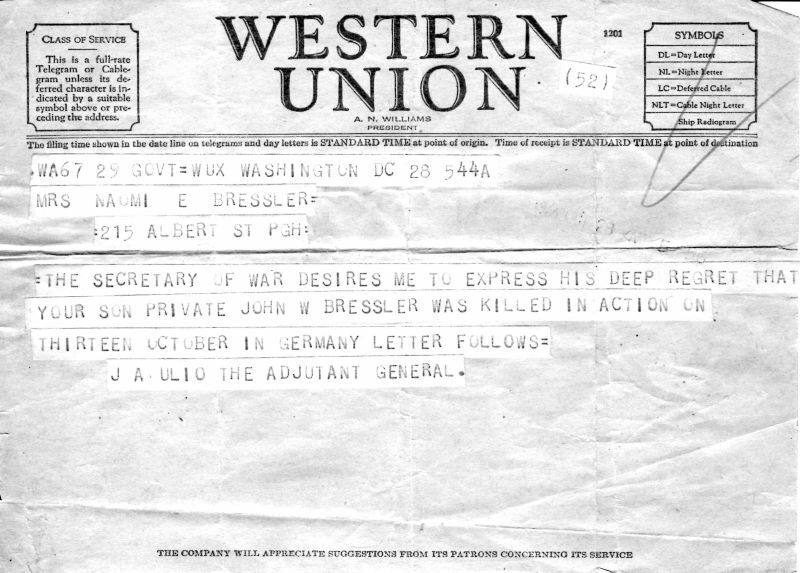 The original War Department Telegram, bringing the devastating news to Bill’s family in November 1944. The 19 year-old Bill was the first casualty from the family’s church. The family felt his loss very deeply and his sister, Lois, still misses him. 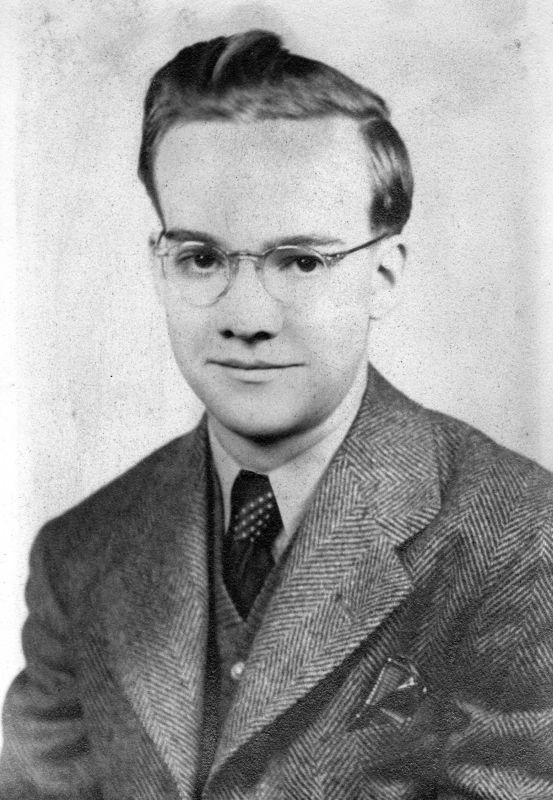 Bill was awarded the Purple Heart and is buried in Plot A, Row 8, Grave 2 at the American Cemetery Henri-Chapelle in Belgium. 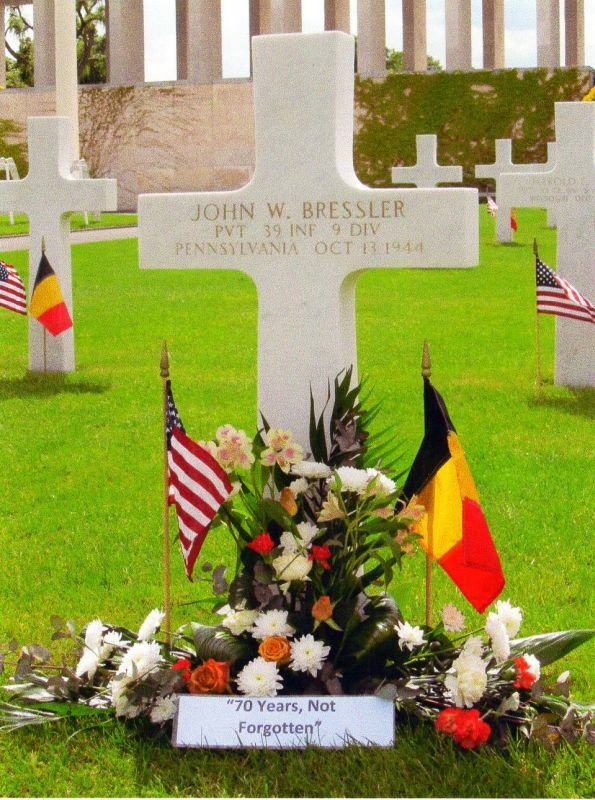 Private John W. Bressler Jr’s Grave at the Henri-Chappelle cemetery during Memorial Day 2014. While they never got to meet him, Bill will never be forgotten by his sister’s children, June Dallmeyer (Drexler) Robertson, Joan Elizabeth Drexler and Jonathan William Drexler. Joan was kind enough to share Bill’s life story with me, and I am honored to have him included here. May he rest in peace, and never be forgotten.